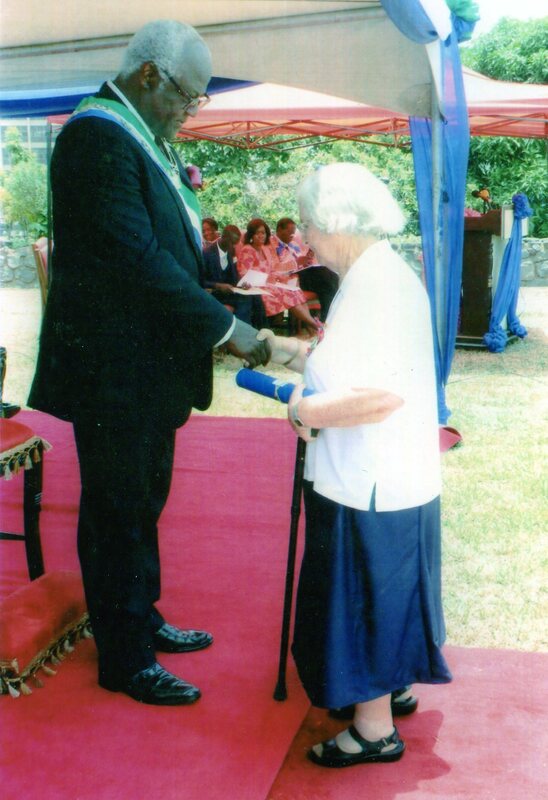 Irish missionary, Sr. Teresa McKeon – a sister of the St. Joseph of Cluny congregation and a native of Streamstown, Co. Westmeath – has been honoured by the President of Sierra Leone for her “dedicated and meritorious service to the state in the field of education and the development of women”. She was presented with the award of “Officer of the Order of the Rokel” by President Koroma at a ceremony at State House in Freetown. Sr. Teresa has ministered in Sierra Leone since 1954 serving as teacher, school principal, provincial leader of her congregation in West Africa, and in development work with rural women in Dambala near the city of Bo. When the civil war broke out in 1994 she and her congregation had to flee the country. She then moved into neighbouring Guinea where, until 2001, she worked with Sierra Leonean refugee women, children under five years, and young girls in five refugee camps. On returning to Sierra Leone in 2001, she supported returnees in displaced camps in Lumpa. In 2002, she continued working in the Kono region for the development of rural women through practical training in basic business and loan management, awareness education in different facets of life, education of poor and marginalised children, and training lactating mothers to recognise the nutritious value of local foods in the diet of their babies. The Sisters of St. Joseph of Cluny Diomplor Programme in Kono operates primary, junior and secondary schools known as “Cluny Free the Children Schools”. Although now in her late 80s, Sr. Teresa is still active helping to develop the capacity of teachers in the school at Koidu. On receiving the award, Sr. Teresa said: “Surprised to receive this national award for just doing the work I was destined to do in God’s plan for me, I humbly accept it not for myself but on behalf of all the Cluny Sisters who have ministered in Sierra Leone, and our families and supporters who have made possible our efforts to help and to empower our beloved people in this beautiful country”. The Cluny Sisters have been rendering selfless service to the people of Sierra Leone since 1866 in the fields of education – especially for girls – health and women’s development using the distinctive missionary holistic approach that fosters the total person and their dignity. Another Irish member of the congregation, Sr. Mary Sweeney from Dungloe, Co. Donegal, was given a Presidential Distinguished Service Award by the Irish government last year recognising her long service to education for the hearing impaired at St. Joseph’s School in Makeni. Following her years of advocacy, Makeni University now trains teachers for special needs teaching. The education system at all levels in Sierra Leone provides inadequate training for teachers. 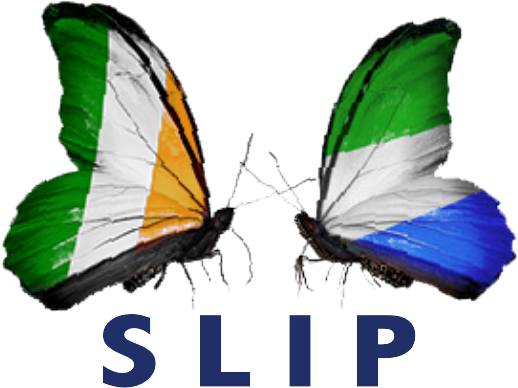 The Cluny Sisters have now partnered with Irish-based Global Schoolroom in an innovative 3-year pilot programme to develop the capacity of 130 teachers in Makeni and Kono. This programme – grant aided by Misean Cara and accredited by UCD – commenced in July and will produce a template for teacher professional development and in-service for integration with the state education infrastructure. The impact of this programme will be to create a cohort of knowledgeable, professional and expert teacher tutors who will develop the skills to initiate professional development in their schools and surrounding districts. Sr. Teresa sees this as a most encouraging initiative with potential to radically improve the quality of teaching in schools.